In a little over 24 hours, the Kodak Theater will be buzzing with the most elite of Hollywood's A-List as they gather for the 83rd Annual Academy Awards hosted by Anne Hathaway and James Franco. It's been a busy week here on Please Welcome Your Judges, with my Oscar prediction contest (which there is still time to enter) and breakdowns of my predictions for Writing and Animation, Acting in a Supporting Role, Acting in a Lead Role, Directing and Picture. There's just one more thing to do—a complete list of my predictions in all 24 categories. Some are well-informed and obsessed over, others are mere shots in dark (hello, Live Action Short Film...). With any luck, this list will help me win my Oscar pool tomorrow night, and perhaps help you out, too. The two films most likely to get more awards than I'm predicting: The King's Speech, which could easily walk away with 7 or 8, and True Grit, which could sweep up at least one more award (a surprise Supporting Actress Oscar for Hailee Steinfeld). What do you think? What does your Oscar ballot look like? 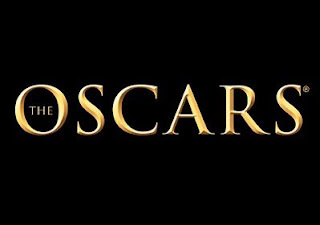 Oscar coverage on ABC begins tomorrow (Sunday, February 27th) at 7pm/EST on the red carpet. The show begins at 8:30pm/EST.